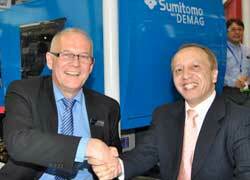 Injection moulding machine maker Sumitomo (SHI) Demag will expand its position in the promising Iranian market. Accordingly, the Japanese/German manufacturer has set up new consultancy, sales and service offices in Iran. The company’s local partner, Kara Sanaat Rasha Co. of Tehran, has more than 15 years experience, it says. 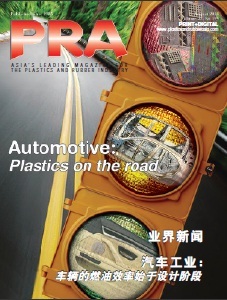 Alireza Nassiri, Managing Director of Kara Sanaat Rasha and responsible for Sumitomo (SHI) Demag key accounts, has been working with a network of loyal customers from the plastics processing segment for many years. Customer care includes consultancy services for machine and automation setup, commissioning and a variety of individual services across the product lifecycle, it says. 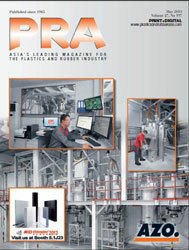 integrated automated handling equipment or downstream joining and assembly processes. Suppliers to the construction industry as well as manufacturers of industrial parts, medical disposables and all others will be interested in electrical and hydraulic machines made by Sumitomo Demag. The company has four facilities in Japan, Germany and China with more than 3,000 employees. At Sumitomo’s headquarters in Chiba, Japan, the company manufactures machines with clamping forces in the small to medium range. Nearly 95% of all delivered machines are equipped with an all-electric drive concept. More than 5,000 machines sold per year make Sumitomo Heavy Industries and its plastics machinery division one of the largest manufacturers of injection moulding machines in the world. Demag’s German facilities in Schwaig and Wiehe produce the Systec Servo range with hybrid drive as well as the El-Exis SP and Systec SP range of high-speed, high-performance machines. The all-electric IntElect range for international customers is also being produced in Germany. In 2015, the Chinese subsidiary Demag Plastics Machinery (Ningbo) Co., Ltd. installed a new facility with a 13,000 sq m floor space. It is earmarked for the production of the Systec C range with clamping forces of between 500 and 10,000 kN for the Asian market.